Exmark Radius E-Series commercial zero-turn riders provide the best of both worlds: The features lawn professionals need, like 3-Series (5” deep) UltraCut decks, maintenance-free spindle assemblies and a powerful Exmark 24.5 HP, 708cc V-twin engine, while delivering value that makes this mower attractive to anyone with a lot of grass to mow. Cutting deck widths available: 48-, 52- and 60 inches. 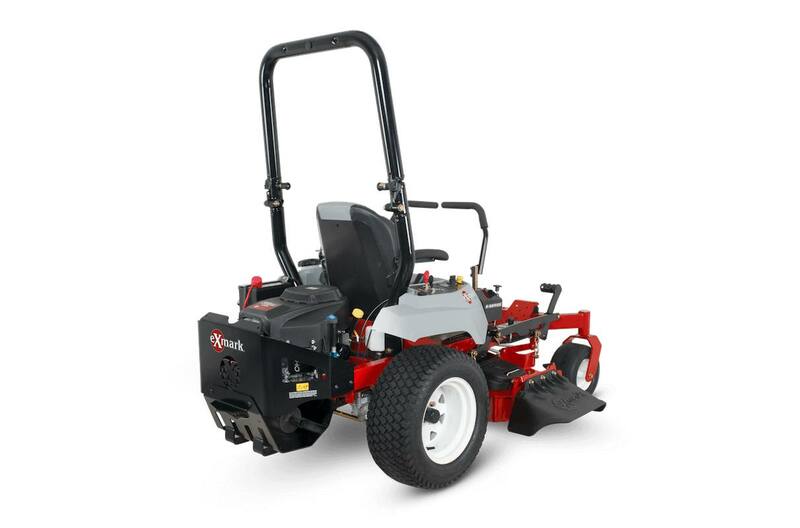 The Exmark E-Series provides the best of both worlds: The commercial grade features lawn professionals need, like 3-Series (5” deep) UltraCut decks, maintenance-free spindle assemblies and a powerful Exmark 24.5 HP, 708cc V-twin engine, while delivering value that makes this zero turn mower attractive to anyone with a lot of grass to mow. Height of Cut Made Easy: The height of cut is positioned to provide an open operator platform that allows the operator to quickly locate the preferred cut position when viewing from the top down. Large Caster Tires: Every Radius model is equipped with large front caster tires. 13” x 6.5” pneumatic tires come standard on all Radius models. 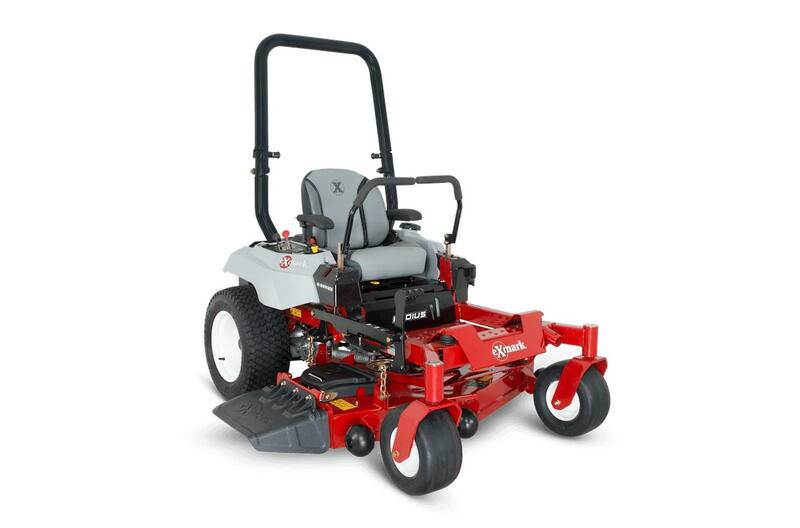 Powered by Exmark Engine: Equipped with Exmark’s commercial-grade 24.5-horsepower 708cc V-Twin engine that features a dual barrel carburetor, cast iron cylinder liners and a quick oil drain hose raises the bar for productivity, durability and value. Blade Spindles: No maintenance, sealed and non-greasable spindles; 7.50"-diameter cutter housing contains 17mm (.67")diameter spindle shaft and hex blade drive. Tractor Frame: Unibody, welded, heavy-duty 2" X 3" rectangular tublar steel. Speed: Infinitely variable speed selection from 0–8.0 mph (12.9 kmph) forward, 0–5.0 mph (8.0 kmph) reverse. Dual Hydro Gear ZT2800, hydrostatic transmission with charge pumps, relief valves and independent, replaceable filters.